 Direct reduction of iron is the removal of oxygen from iron ore or other iron bearing materials in the solid state, i.e. without melting, as in the blast furnace. 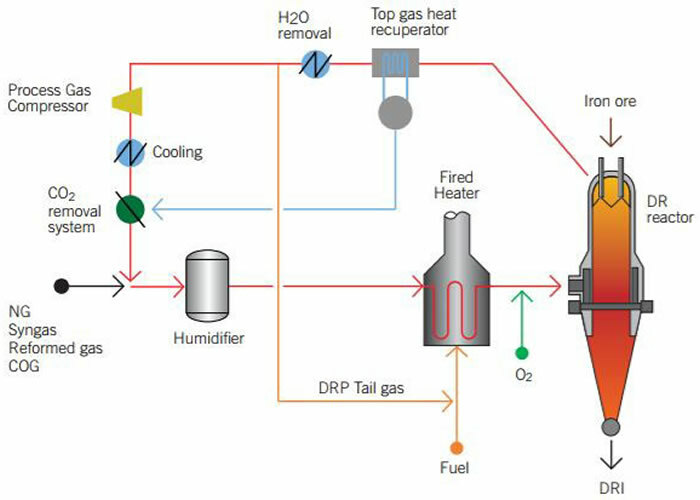 The reducing agents are carbon monoxide and hydrogen, coming from reformed natural gas, syngas or coal. Iron ore is used mostly in pellet and/or lumpy form. 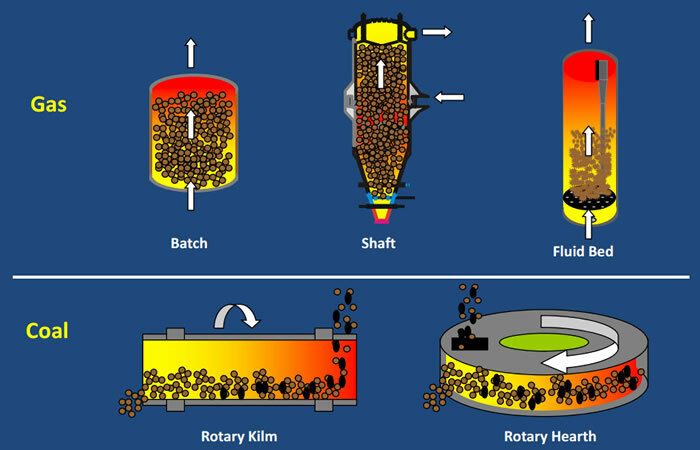 coal based rotary kiln furnaces (mainly in India) - accounting for 17.5% of 2016 production. 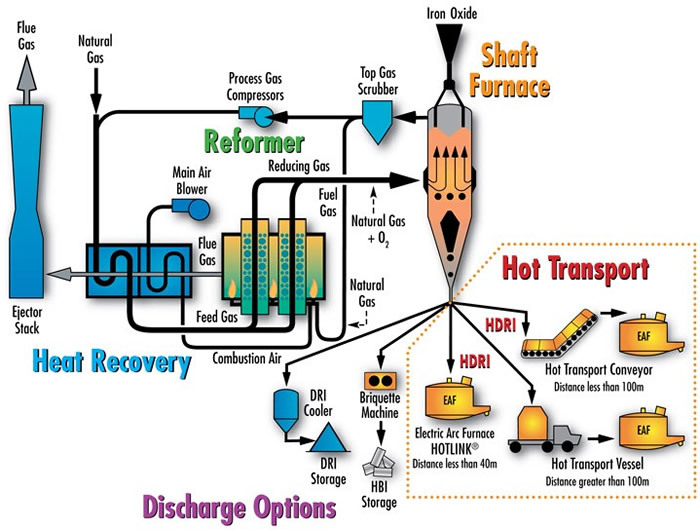 Generic illustrations of the types of process are shown in the graphics below. 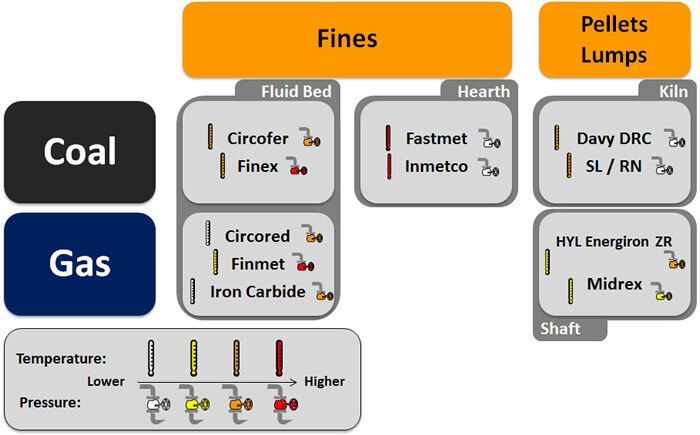 Illustrations of the principal processes are shown below. 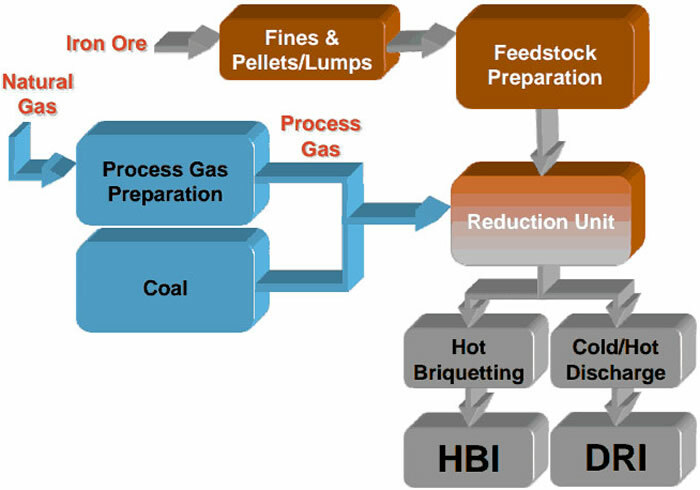 The Midrex® and Energiron gas-based processes use predominantly iron ore pellets as feedstock, but sometimes with inclusion of lump ore in the furnace charge. 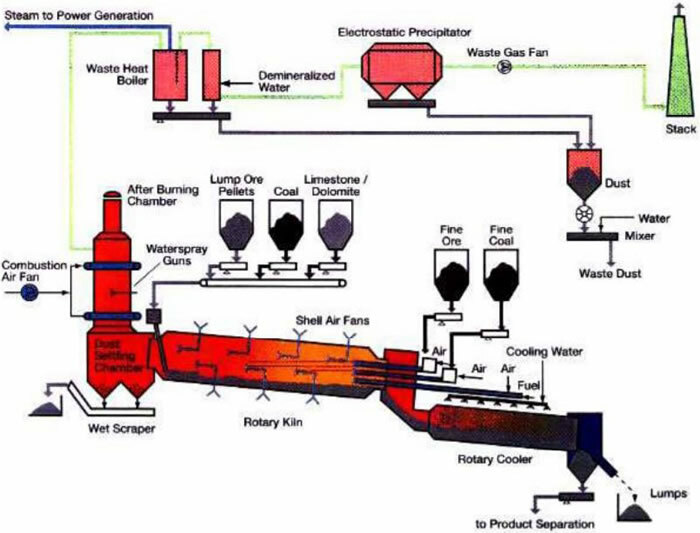 The SLRN coal-based process uses lump ore and, increasingly, pellets as feedstock. There are variants of these processes which are described on the website of the various technology providers.